Assembling your pre-engineered metal building kit. Important considerations and helpful tips. 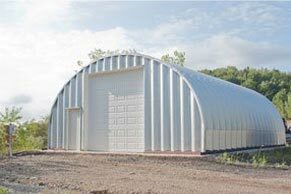 Your metal building kit will be delivered with detailed and helpful easy-understand assembly instructions. If at any time you need assistance you can call our hotline at 412-522-4797 and ask for engineer help. 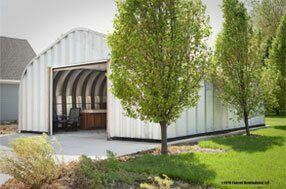 If you are erecting a large facility with electrical, plumbing, insulation and climate control as well as interior functionality we advise you to hire a contract and building crew experienced in erecting prefab metal garages. We have partnered with contractors across the country to assist you if you need help finding a reputable crew. Utilizing a local contractor also protects you from most liability, injury and time. Safety is the most important factor so work methodically and prepare your work area with the necessary safeguards and equipment. 1	Divide the erection and construction process into individual tasks for crews of 3 to 5 workers that are familiar with the task at hand instead of everyone being involved with every stage of the process. 2	Make sure you workers have educated themselves with the tasks they will be performing. This saves time and produces a more efficient crew. 3	Lay out your building components for set up and make sure you have ample space allocated for the initial assembly. 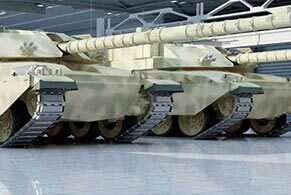 4	Bolt the most components together as possible before erecting the structure. You can work more efficiently and safely by assembling building components first and safely lifting them together to be attached. 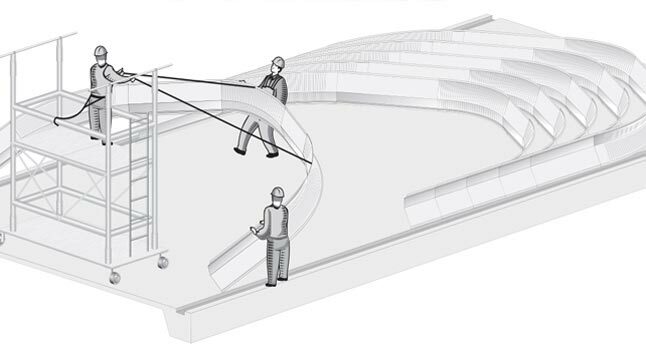 Use scaffolding and a rope with a hook to pull up each arch into place. 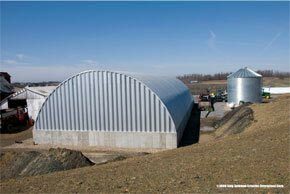 5	Start at one end and continue lengthwise building each arch one at a time until the entire length of the building is assembled. 7	Make sure you have high quality tools and equipment are available for your crews. Consider the direction of the sun when planning the positioning of your building. You may want to have the sunlight beaming through the end wall doors or side windows at different times of the day. Also consider the prevailing wind direction. 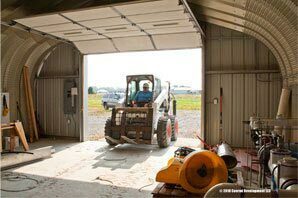 If you have large end wall doors that frequently open you may not want the elements blowing through your building. Consider access to roads, future expansion of the building length and other considerations with regard to positioning your building. 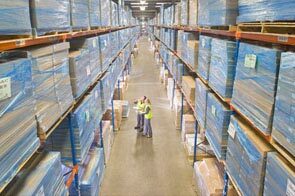 Draft out a plan on paper or using computer systems to configure the interior of your building is it is being used for commercial, warehouse or retail use. 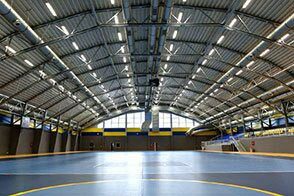 Consider the pathways, halls, and office space in addition to your interior structures and use. 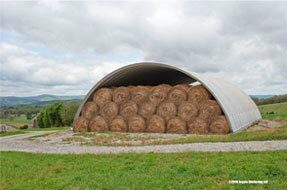 For horse barns, agriculture or vehicle storage, plan a clear space for vehicles or livestock to pass through the building unobstructed. It is always wise to make your building larger than you may think you need because there will always be something you need extra space for in your building including or the contents may be much more than you anticipated if you are growing a company or expanding it use. 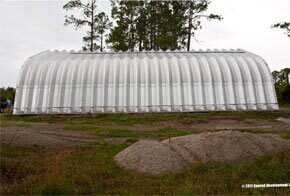 As with all metal arched building kits you can always expand he length of the structure. Deciding the size of the building, consider the height as well. As mentioned before you can always expand the length but not the height or width. 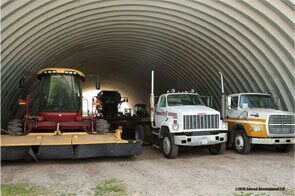 Height gives you clearance for large vehicles and storage. 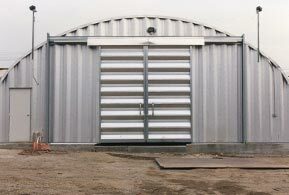 The height of the building would always be at least a few feet taller than the garage door used for truck or equipment clearance on the end walls. You must also consider hanging lighting, overhead sprayers and ventilation when taking into account the height of the interior. Be cognizant of exterior power lines or utilities too. 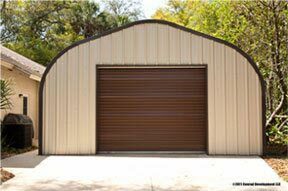 If you ever need assistance with the construction and planning of your metal garage, we offer a wide array of turnkey building solutions from the permitting and code stage to site construction, erecting your building to laying foundations, plumbing, electrical and interior equipment and layouts.